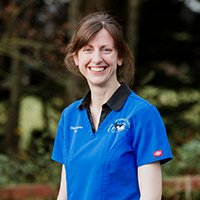 Eilidh comes from Perth and studied at Glasgow Vet School, graduating in 2002. Her first post was in North East England, where she worked for five years before moving up to Inverness. When not working, she enjoys hill walking with her two dogs and has recently taken up fiddling.